When pests threaten your peace of mind, it’s time to call in your first line of defense! 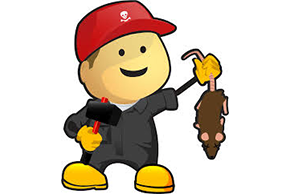 1st Defense Pest Control specializes in inspecting, identifying, and eliminating pests, rodents, and termites, backed by our money back guarantee! We provide only the most excellent pest control services to protect your homes, families, and businesses from the threat of pests, rodents, bees, and termites. Our friendly, professional staff is committed to providing only the most excellent customer service. At 1st Defense Pest Control, excellence is the bottom line. If it bites, stings, or literally eats you out of house and home, we can bring you the peace of mind only possible from a licensed and dedicated staff of experts. If your home is threatened by bees, or your business has a termite infestation, one call and we will rush to the rescue and eliminate the problem cleanly, efficiently, and safely so that you can get back to your lives free of worry. We strive to exceed your expectations, so we back our service with a money back guarantee. If you are at all unsatisfied with our service, we will cheerfully refund your money! At 1st Defense Pest Control, we guarantee a better quality of living pest free or your money back, so don’t settle for the rest. Place your safety in the hands of the best defense against pests: 1st Defense Pest Control! Don’t let bugs, rodents, and termites threaten your home or office! Call us now for a free estimate!